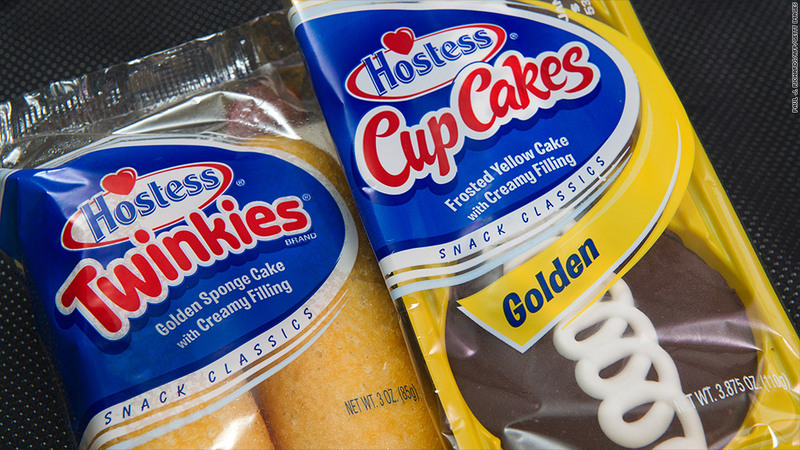 Is this the end for Twinkies? Hostess Brands said Wednesday that it will go into liquidation unless bakers striking in protest against a new contract imposed in bankruptcy court return to work by the end of the day Thursday. "We simply do not have the financial resources to survive an ongoing national strike," Hostess CEO Greg Rayburn said in a statement. The liquidation would result in Hostess' nearly 18,000 workers losing their jobs. The bakers' union represents around 5,000. The union did not immediately respond to a request for comment Wednesday, but has called the concessions demanded in the new contract "outrageous." "Our members are on strike because they have had enough," bakers' union president Frank Hurt said in a statement Tuesday. "They are not willing to take draconian wage and benefit cuts on top of the significant concessions they made in 2004 and give up their pension so that the Wall Street vulture capitalists in control of this company can walk away with millions of dollars." Hostess filed for bankruptcy in January, its second trip to bankruptcy court since 2004. It's now owned by a group of investment firms including hedge funds Silver Point Capital and Monarch Alternative Capital. In September, one of its major unions, the International Brotherhood of Teamsters, voted narrowly to accept a new contract with reduced wages and benefits. The bakers' union rejected the deal, however, prompting Hostess management to secure permission from a bankruptcy court to force the new contract on workers. The company announced Monday that it was closing bakeries in Seattle, St. Louis and Cincinnati in response to the bakers' strike, which began last week, cutting 627 jobs in total. The strike is in effect at 24 of Hostess' 33 plants. The bakers' union claimed Hostess was planning to close the three bakeries in any case, accusing the company of continually issuing public statements "that are erroneous at best and disingenuous at worst." Hostess responded that while it had initially planned to sell or close nine plants as part of a previous reorganization plan, those plans had since been put on hold, with the strike prompting Monday's closures. The new contract cuts salaries across the company by 8% in the first year of the five-year agreement. Salaries then bump up 3% in the next three years and 1% in the final year. Hostess has also reduced its pension obligations and its contribution to the employees' health care plan. In exchange, the company offered concessions including a 25% equity stake for workers and the inclusion of two union representatives on an eight-member board of directors.